@fearlessbaking tagged a super handsome Spaniel for us last Friday. Tag @sourceweekly and show up here in Lightmeter. I would encourage a read of Harvard Professor Robert Putnam's "Our Kids: The American Dream in Crisis." He profiles Bend and the way that it has developed since the 2008 recession. There are undeniable economic differences between those who have moved here as lifestyle change and those who lived in the Central Oregon economy during the recession. Putnam describes it as a non-racial gentrification process. There are measurable reasons for the hostilities that locals feel towards newcomers to Bend that should continue to be examined critically. Sure, Central Oregon residents spew rhetoric that is reminiscent of a "build a wall" mentality, but the population boom hasn't been prosperous for all community members and I hope newcomers learn to recognize that. I came here 35 years ago, from Orange County. I loved it because there was nothing here. Just natural beauty, like California USED to be when I was a little girl. As recently as last summer, a comment was made that I wasn't a local, I was from California. (I passed your test with flying colors) and frankly I'm tired of hearing it. You can call it growth, but Bend is now just another "tourist town," with LOTS of pot stores and beer bars. Sad. Whatever the case may be, can we please stop blaming everything on the Californians? Bend and its "locals" need to take responsibility for what is happening. Bend prides itself on being so accepting of gay, trans, religion of choice, etc, — unless you are from California. Does anyone remember the gladiola farm that used to be located where the Factory Outlet is now? I used to buy flowers there for my elderly mother. Looking at the Google Maps satellite imagery of the area it seems like much ado about nothing: it's a footbridge, not a four lane highway. The area is already built up on all sides with houses. Encouraging more people to walk or bike across the river rather than drive around via Reed Market seems eminently sensible to me. Bend Parks has planned an imaginary trail down the Deschutes River since the 1960s. Like many ideas from city planners back then, it was done with little consideration for the environment. The same is true today with the proposed bridge. While the concept of linking the human communities of Bend and Sunriver is a good one, our thinking has matured and we recognize the value of the community that already exists along the river. For ten river miles, eagles, osprey, elk, mink, deer and bears find refuge in the riparian areas surrounding the Deschutes up to Sunriver. They can't drive their Subaru to the other river. They have to make it here. The proposed bridge is an easy crossing in shallow water. The convenience of not having to drive to the west side trails is appealing for locals. That is, until you've seen forty elk cows and their yearlings splash across in the exact spot. It is a critical fording spot that is their only access to their spring calving grounds. Deer herds also use the ford in their migrations. While there are many places humans can build a bridge, wildlife has to use what is available. They need this crossing. They won't bring their young near when people are around. The parks dept wants to complete the trail and the bridge so they can collect SDC (System Development Charges) funds when the remaining elk preserve is bulldozed for subdivisions. How can that happen? Just pay the difference in back taxes and the refuge designation disappears. Eventually, all that remains is the name on the school. 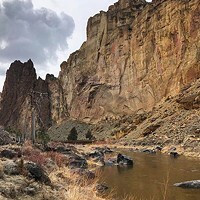 In their short-sighted pursuit of the bridge, Bend Parks and Recreation (BPRD) has asked State Parks to open rulemaking for this one mile stretch. While the proposed legislation could block bridge building, other rules are up for change as well. Coupled with a bridge, these changes could have a devastating impact on the wild community that graces our river. Currently, there is a ban on outfitters and events are limited to 150 participants. Outfitters and running event promoters are requesting changes that would allow marathons and bike races. I'm sure Don (Horton, executive director, of Bend Park and Recreation District) envisions big events like PPP (Pole, Pedal, Paddle) down his trail, but regardless of his environmental assurances, BPRD does not have any jurisdiction on the other end of the bridge and the Forest Service does not currently maintain the trail adequately. The influx of traffic will degrade the habitat, deter wildlife and spectators during events will drive them completely away. While Don is certainly only paid to promote human interests, he ignored the rest of the proposed legislation that would give a great economic boost to humans in the region. HB2027 also calls for Lottery bonds to be available for water storage and distribution projects. This means lining and piping out leaky canals. This is the key to improving the health of the river and every fisherman and irrigator should loudly support this bill. I want to thank Gene Whisnant for including the bridge ban in this important legislation. He obviously recognizes the connection between rivers and wildlife. I hope Salem will recognize this proposal as a way to break a local political log jam and move forward. Lottery bonds would be repaid from the revenues of the small hydro stations on the newly piped canals. But irrigators don't have to be the only direct beneficiaries. 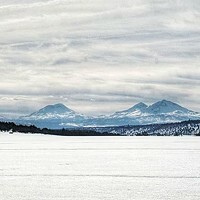 Fishing groups with water rights and lottery financing could partner with TID to pipe water from Tumalo reservoir back up its abandon ditch to enhance selected trout streams. Can you dream it? I can. HB2027 would be a major step forward in water management. It will also finally bury an old bad idea about a bridge. NOPE! Bend is full, not my problem you have kids and want a free public education. Move elsewhere. I have never voted against a school bond and I never will. The schools in Bend are excellent and in order for them to stay that way, we need to vote YES for this bond. My kids are out of school now but I still want Bend to have excellent schools and I want Bend's kids to have the best education they can get. It's a no-brainer to me! Am I rich? Nope! Will $7 a month break me? Nope! Diane, thanks for your support. Tell your friends to vote, and come on down for your gift card to Palate! And Rocky, I see from your FB profile that you went to public schools in both high school (in Idaho) and college (in Washington). Don't kids today deserve the same "free public education" benefits you enjoyed?